I received a copy of P.King Duckling: Discovery Duck for review. This post contains affiliate links. All opinions are mine. Disney Junior is known for its fun and educational preschool series. My youngest loves watching Disney Junior and has discovered a new show called P. King Duckling. P. King Duckling and his animal friends make her laugh and she is excited about the DVD release of P.King Duckling: Discovery Duck to DVD today. Leap into the awesome adventures of P. King Duckling! He and his pals are coming to DVD in P. King Duckling: Discovery Duck in the U.S. and Canada, on December 12, 2017, from Shout! Kids, in collaboration with UYoung. P. King Duckling: Discovery Duck contains 6 episodes from Season One, along with four fun music videos, and is available for pre-order now on Amazon.com and ShoutFactory.com. Brought to you by the award winning Josh Selig (Sesame Street, Wonder Pets!) in collaboration with James Chen Gu, General Manager of UYoung Animation,P. King Duckling encourages creative thinking and problem-solving skills in children with his funny, family-friendly adventures. So what are you waiting for? It’s time to get quacking- hop in the Hilly-copter and join the fun! Broadcast in the U.S. on Disney Junior, where the series enjoyed high ratings, the preschool comedy series has a learning-focused curriculum created by media specialist, Dr. Christine Ricci (Dora the Explorer), that centers on overcoming challenges and inspiring creative thinking. Spend some time in Hilly Hole with your favorite day-seizing duck…P. King Duckling! Along with his two best friends- Chumpkins, the tech-savvy pig, and smart, sensible Wombat- P. King travels the globe in search of excitement and fun…even if they do ruffle a few feathers along the way! This fun series is perfect for ages 3 to 6. P. King Duckling and his quirky friends live in a town called Hilly Hole. There are all kinds of silly situations and challenges for him and his friends. I love how not only does the show make us laugh, but it teaches my little one important lessons about creative thinking, problem solving, and being yourself. It also encourages kids to challenge themselves, learn to express themselves creatively through music and dance, and to use their imagination. This giveaway is not in any way associated with or endorsed by Facebook, Instagram, Pinterest or Twitter. Giveaway Ends 12/27/17 at 11:59 PM EST. US Residents **18 and older** only may enter. One entry per household and IP address. Winner will be drawn using random.org and will have **48 hrs** to respond to email or another winner will be chosen. Entries are verified. No purchase necessary. Void where prohibited by law. The number of eligible entries received determines the odds of winning. The Attic Girl is not responsible/liable for prize delivery. By entering the giveaway, you agree to the Giveaway terms/rules. Disclosure: I received a copy of the DVD for review. 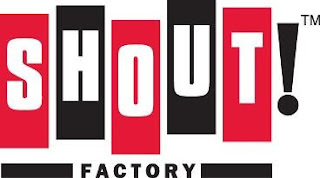 Sponsor is providing the giveaway prize. For more info. see my Disclosure Policy. 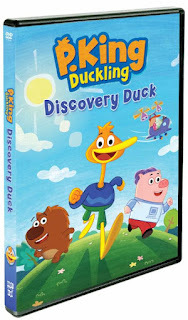 2 comments on "P.King Duckling Discovery Duck Now Available on DVD @shoutfactory Plus #Giveaway #sponsored"
My nieces and nephews would love this movie.